It's our first time to visit Singapore as a family this May and Rap is so excited. One the things he's looking forward to in the said trip is the food. He wants to experience dining at the hawker centers in the city. Thankfully, he won't have to wait for May to taste authentic Singaporean food. 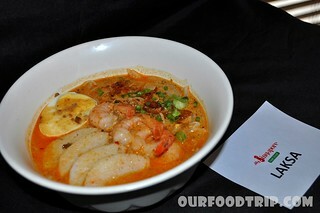 My Singapore Food Street is now open in SM Megamall and it offers its customers a wide selection of Singaporean food. 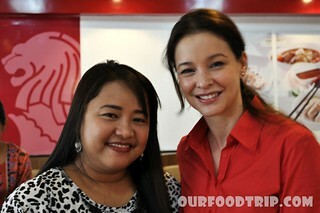 Last week, I was invited to its launch and was able to meet the beautiful celebrity chef and restaurateur, Vivien Tan, who is one of the owners of My Singapore Food Street (the other is Jean Henri Lhuillier of PJ Lhuillier Inc.). You may find her face familiar as she is a former Channel V VJ and Star Asia Travel host. I arrived a bit early so I was able to chat with her. She currently divides her time between Singapore and Manila - two cities she likes to call home. 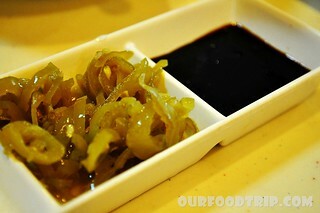 I know you can''t wait to see my food shots so here they are! 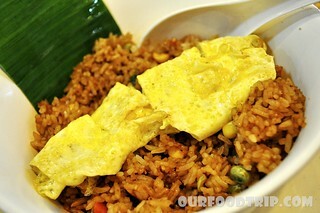 Nasi Goreng (Php 175) and picked peppers and soy sauce. 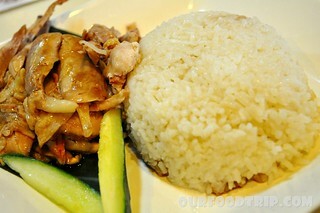 Every dish tasted delicious and the servings are good for sharing so the price is definitely worth it. It was my first time to be courageous enough to try Laksa and, thank goodness for my Bicolano roots, it wasn't that spicy for my taste. I actually enjoyed it. 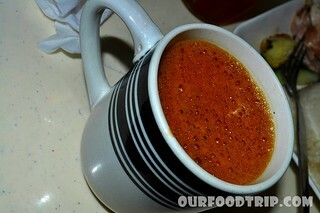 Also part of the launch was the demo on the preparation of Kopi Tarik which is brewed coffee mixed with condensed milk. I love how rich the flavor of this coffee was and the sweetness was just right considering that it was made with sweet milk. It was the perfect drink to cap a hearty lunch. I promised Rap that I'll bring him there for lunch soon and I would buy him a glass of Frozen Milo Dinosaur. He already tried Milo Dinosaur in another Asian restaurant and I'm sure he would love the different twist that My Singapore Food Street gave their version. 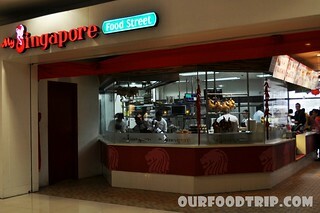 My Singapore Food Street is located at the 2nd level Bridgeway of SM Megamall. You can find more of my photos of the launch HERE.